It is with great pleasure that we invite you to our outdoor home to view our annual presentation of the Passion, Death, Resurrection, and Ascension of Our Lord Jesus Christ. 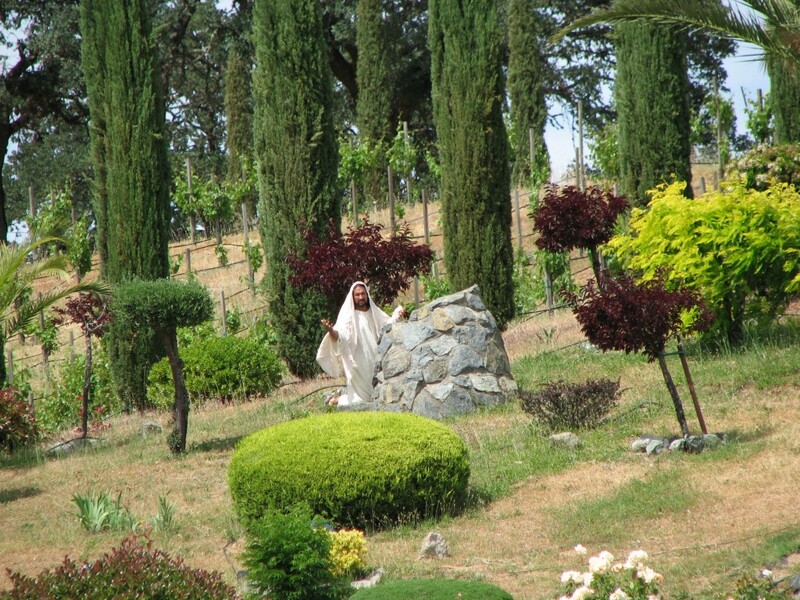 The Lake County Passion Play Grounds, off Highway 29, are the setting for our reenactment. This property’s gentle, rolling hills overlook one of America’s most beautiful lakes: Clear Lake. More than 150 players re-enact this most touching of dramas. Mounted Roman soldiers sweep across the 1,000 foot stage; sheep wander across the hillside; a powerful sound system carries the dialogue faithfully drawn from Matthew, Mark, Luke, and John. A talented team of directors, producers, and costume designers work throughout the year to create this experience. The Passion Play is not a spectacle. Rather, it is a prayerful expression of the faith of the people involved. Men, women, and children from many denominations have come together to make this a truly Ecumenical experience. The unity among the players is a visible sign of the Holy Spirit.